So you’ve been entertaining this month have you? Well, according to July stats you have. Quite heavily in fact in the appetizer category. We have too. With visits from near and far and a spectacular neighbourhood house warming, I’ve been a very busy Galley Kat. 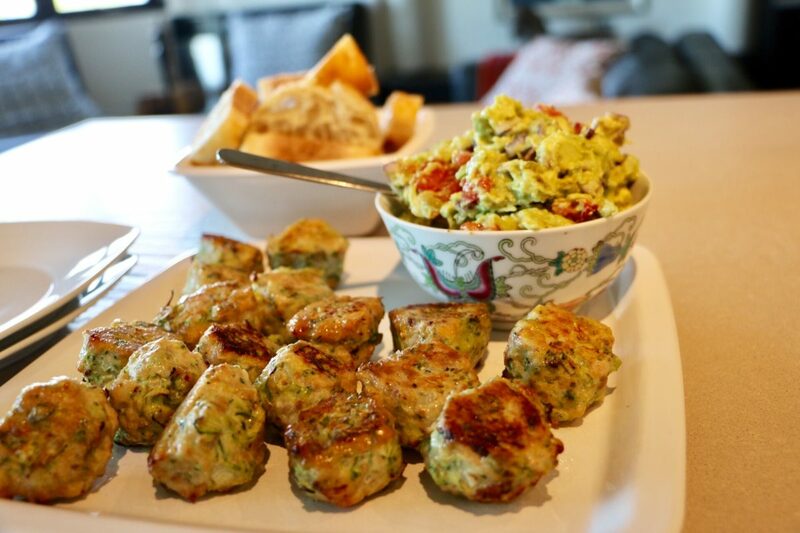 Top of the list was this tasty recipe for zucchini and chicken bites. I guess some of you must already be harvesting zucchini from your gardens. Lucky you! 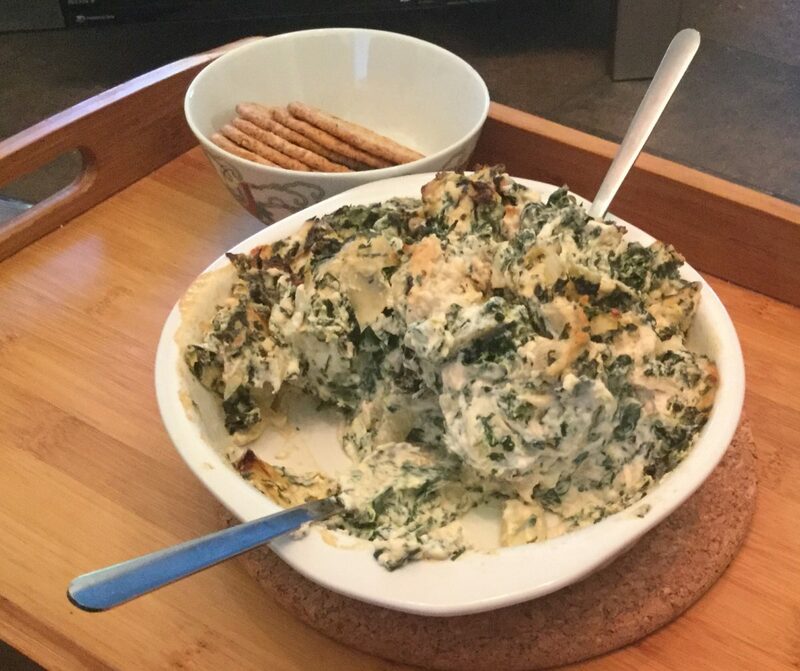 Number two on your July faves was this artichoke dip. 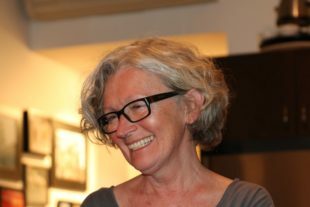 I made it again this month too for our recent house warming party. I love it spread on crackers and scooped onto veggies. Lots of cheesy protein, greens and carbs. Who needs dinner when you have this to dig into? 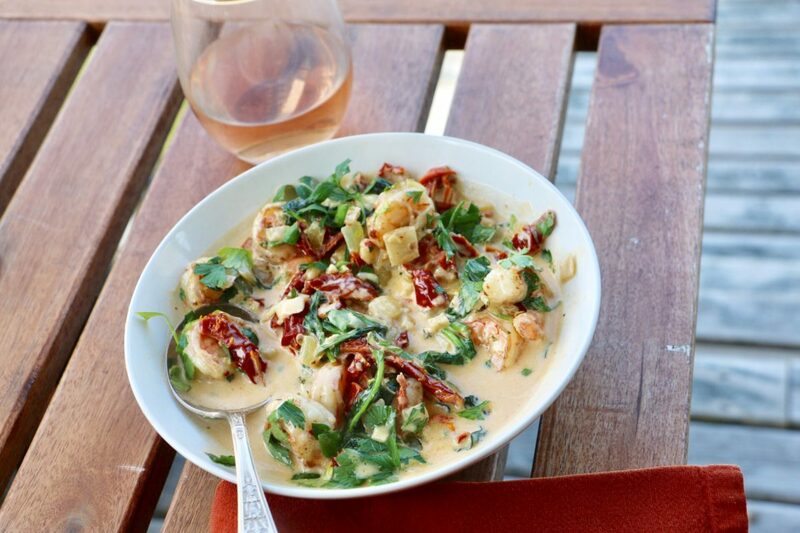 This next one made with fresh scallops is addictive. I can see why it was number three on your list. 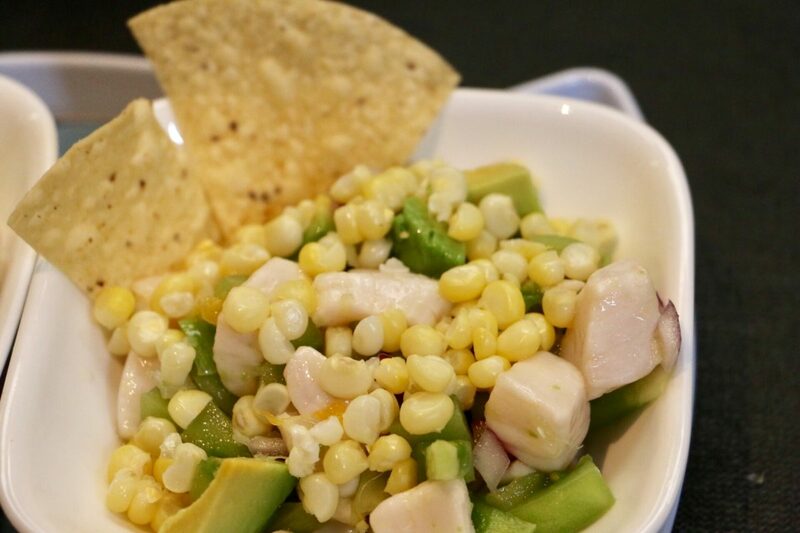 Mildly spicy, lots of citrus, balanced with the sweetness of the corn, the tang of green tomatoes and creamy bites of avocado. Perfection! And no wonder this shrimp dish was one of your favourites this month. It screams easy back yard dining doesn’t it? 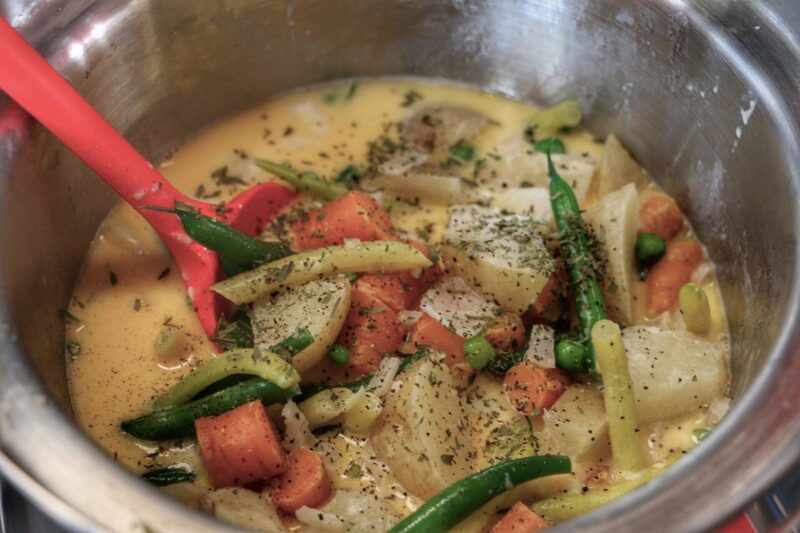 Hodge Podge is a must-make around here when fresh vegetablea are in season. There seem to be a variety of methods but new potatoes, green and yellow beans, carrots and shelled peas are the key ingredients. Cream and lots of butter round out the mix and I have to say they are essential…indulgent but essential. Seasonings may vary from simply salt and pepper to tarragon to dill and sometimes chunks of seafood are added. The Down East Hodge Podge is the recipe that came up as your fifth fave this month but I’ve also included another of our galley favourites using seafood. Oh Yum! Simply click on the caption below each image for the recipe.